It’s 1963, the Darkest Timeline. Supervillians have taken over the world, and you are one of the few superheroes fighting back against their tyrannical reign! Unfortunately, you’ve fallen for a trap, and The Quizzler has stripped you of your super powers and trapped you within her lair. Always one for games, she’s devised a series of puzzles to prove she’s more clever than you once and for all! She’s given you one hour to solve her riddles or face destruction! Strangely, we’ve seen precious few Superhero based escape rooms, and that’s honestly quite puzzling to me. I feel like it’s an amazing theme, full of potential, so I was very excited to see what Whole Brain Escape could do with it! The theme, on the flip side, is one that could fall victim to lazy design via Intellectual Property theft, but I’m glad to say that is not the case with this room! The Quizzler’s lair is decorated with the colorful flair of a 1960’s superhero show, and boasts more than a few superhero props from the many titans she’s slain! It’s also a rather large room, one that can absolutely hold the maximum eight players comfortably. The décor is appropriately zany, with homages to superheroes we know and love, without being a ripoff of copyrighted materials. While exploring the room, the myriad props provide a highly tactile experience, and add to the game fantastically. The superheroes, villains, and team-ups that Whole Brain has come up with are wonderfully imaginative, and lend an air of believability to their comic book world. In fact, it’d be awesome to see these expanded on further in future rooms! The game flow is, similar to Bustin’ Out of the Eighties, extremely intuitive and satisfying to engage with. The puzzles follow a reasonable, if challenging logic, and they line up with the locks they are meant to open in clear ways. There is a lot of variety in the clever challenges that make up The Quizzler’s lair, and the non-linear threads absolutely kept our group fully involved with the room from start to finish. Multiple puzzles were brand new to our seasoned group, and provided many satisfying ah ha moments when we made major breakthroughs. One puzzle in particular dealt with perspective, and are implemented in such deviously brilliant ways that we couldn’t help but appreciate. 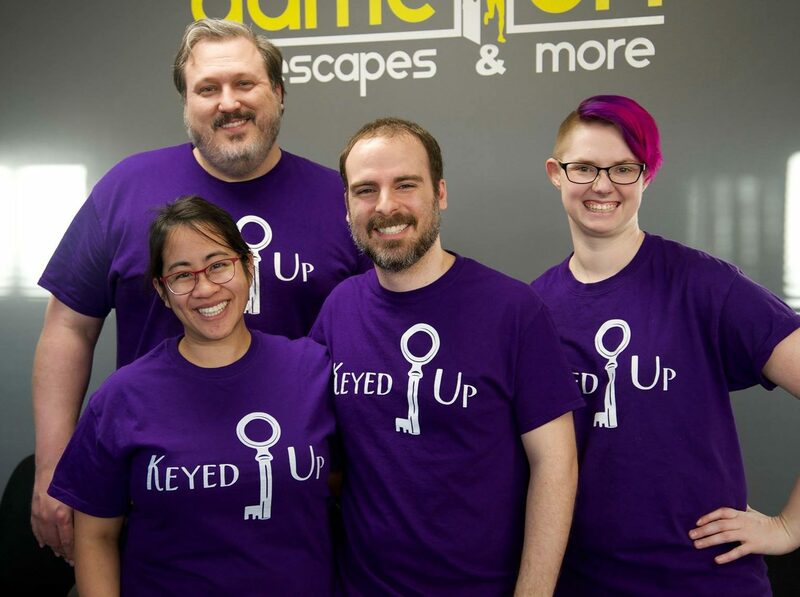 Another great puzzle took a fairly basic escape room trope, and through a small amount of tweaking, made it so much more exciting to engage with. The final goal of the room is climactic, and provides a fun objective based ending to the story. Though there is a variety of puzzles within the room, there was one genre of puzzle type that felt as though it showed up a bit more than others. Being a fairly basic puzzle as well, they slightly repetitive. Like Bustin’ Out of the Eighties, this room is much more lock, key, and code based than some more tech heavy rooms, and while it fits the theme, a small technical surprise would’ve been a great addition to the Quizzler’s arsenal of enigmas. One puzzle involves what could be construed as a red herring, and though the reasoning behind it’s inclusion is sound, it still caused us a small amount of confusion after we’d completed our objective. Whole Brain Escape does an superb job of creating physical escape experiences that utilize mechanical props and puzzles in creative new ways! Escape the Supervillain’s Lair is no exception, as the whole adventure was an exciting romp full of highly satisfying puzzling. The immersive comic book world they’ve created is ripe for further exploration, and I’d love to see a sequel down the line! In the mean time, I’m extremely excited to see what comes next from these guys! Book your time matching wits with The Quizzler here!